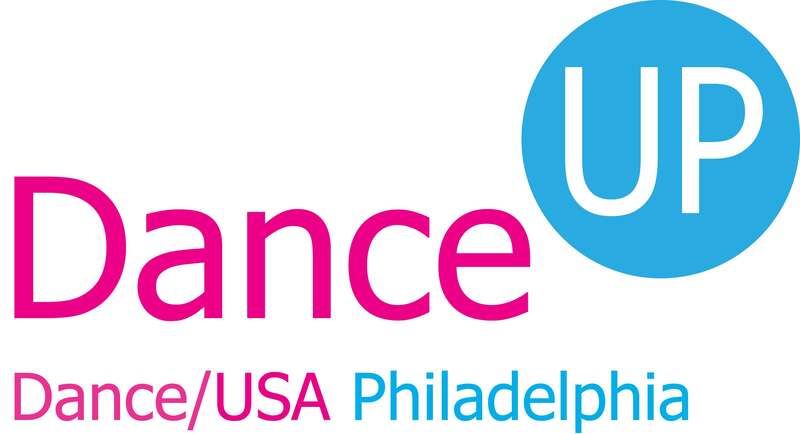 • International airfare between the USA and Salvador, Bahia, Brazil• A private room with attached bath• Exclusive use of the dance studio• Meals• Logistic support In addition, each awarded artist from Philadelphia will receive a stipend of US$1,000.00 from Dance/UP. Sacatar will host up to eight artists, individually or in small groups, through this program. Some of the scheduled residency sessions include the opportunity to participate in local dance festivals. For complete information, check out the APPLICATION page and click on SACATAR FELLOWSHIPS 2014 IN DANCE AND CHOREOGRAPHY. Former Fellow SOLANGE LIMA (Brazil > France, 2005) held the third annual FESTIT, the Festival of Street Arts of Itaparica that she created, on April 19-21 of this year. In spite of the very recent birth of her baby Naara, Solange brought all her enthusiasm and savoir-faire to make this delightful event a reality once more, frequently carrying little Naara with her as she coordinated all the activities of the festival. Once again, she and her team of dedicated volunteers made the festival a success, with performances by artists, musicians and acrobats from many countries and the participation of many local institutions, including Sacatar and the artists in residence at that time. The festival opened on April 19 with a performance by the French artist and Sacatar Fellow, Fred Martin, which addressed ecological degradation and the problem of trash on the island. Fred created a giant spherical sculpture of wood, coconut leaves and vines which he rolled through the community. He and local school children filled the sphere with the litter and refuse found along the way. 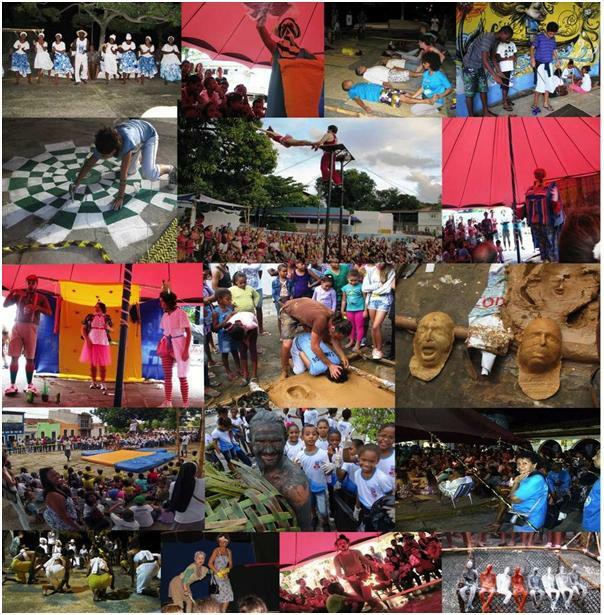 Following his performance, trapeze artists, clowns, magicians, acrobats and folklore groups brightened central Itaparica with their antics and feats. The rain did little to dampen the enthusiasm of the large crowds who came to watch and to participate in the workshops during the three days of the festival. Musicians played and ‘slackline’ performers enchanted the public with their daring maneuvers. On the last day of FESTIT, another artist in residence, the Brazilian Néle Azevedo, orchestrated a performance of her ‘minimal monuments,’ figures made of ice which she caged in a giant crab trap made of bamboo and nylon netting that she fabricated with the help of the local artisan Jósa. Daniel Melim, a Portuguese painter in residence, and local puppeteer Caroline Leite presented a theater piece based on the legend of the Tupinambá people native to the island of Itaparica and the origin of Kimimurê, the original name of the Bay of All Saints that surrounds the island. 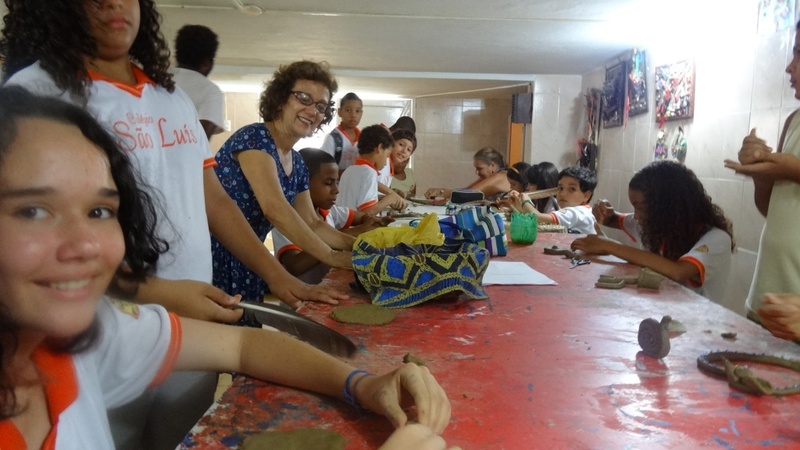 The third edition of FESTIT received financial support from the Fundo de Cultura do Estado da Bahia and the additional support of many local institutions, including the Instituto Sacatar. This extraordinary festival is an unexpected fruit of seeds planted during Solange’s residence at Sacatar eight years ago, before she made Itaparica her second home. Here follow some of the activities of the last group of Sacatar Fellows. To learn more about their experiences while in Bahia, go to the ALUMNI pages on this website where you can click on the artists’ names and read in their own words about their experiences while at Sacatar. Daniel, born on the island of Madeira, came to Sacatar to take ‘commissions’ from the local community for ex-votos, a fading tradition by which people acknowledge ‘miracles’ in their lives by having small paintings made that illustrate the events for which they are grateful. Daniel went to Salvador several times and sat in front of the Church of the Bonfim, the most traditional church in Bahia with its famous ‘room of miracles.’ He also collected ‘commissions’ in central Salvador at the Praça da Piedade. The artist refused money in exchange; he would only accept commissions in exchange for something else. For example, he used reams of cloth received through one of his commissions to produce costumes for marionettes, his first venture into this field, in a collaboration with the local puppeteer Caroline Leite, which they presented during FESTIT. The composer Françoise Choveaux came to Sacatar with the intention of composing new works and of collaborating with the Orquestra Sinfônica da Bahia (OSB) and the renowned children’s orchestra Neojibá. Through the efforts of Sergio Guedes, board member of the Instituto, Françoise managed to establish relations with both institutions, securing invitations for future collaborations. She wrote seventeen new compositions, including commissions for the conductors Ricardo Castro of Neojibá and Carlos Prazeres of OSB. Through a partnership with the Escola de Música of the Universidade Federal da Bahia, Françoise will return to Bahia later this year to teach master classes. The French artist Fred Martin came to Sacatar to interact physically with the natural elements of Itaparica and with the people of the community. He conducted his Baptisms by Earth, plunging people’s faces into clay brought from Maragojipinho, a community of ceramicists two hours south of Itaparica. He subsequently cast the face molds in plaster and returned the masks to the people who had been ‘baptised.’ Fred also sketched and created sculptures in clay and in wood, one of which he used in the opening performance of the third FESTIT. Cick on http://martinfred.blogspot.com.br/ to see more images of Fred’s statues created during his stay at Sacatar and fired at the brick yard in Mocambo, Itaparica, Bahia, Brazil. LINDA FRANKE (Germany)Linda had planned to create a science fiction video based on the places and people she discovered on the island. She abandoned this idea and instead compiled material for a documentary. She conducted interviews with members of the local community in spite of the language barrier. She left Bahia with sufficient material to edit the film upon her return to Germany. The American writer Scott Wallace worked on a screenplay based on his book, The Unconquered, which relates his experience in the Amazon as a writer for National Geographic in which he participated in a grueling expedition to confirm the presence of an Indian tribe that has not yet made contact with the ‘outside’ world. Scott’s stay in Bahia inspired him to place an opening scene in his screenplay on the coast of Brazil in the sixteenth century. He also worked on an imaginative semi-mythical biography about his grandfather who had climbed the Himalayas and, like his grandson, had explored the Amazon. During his residency, Scott also completed an article published in the English and Portuguese editions of the April 2013 National Geographic magazine. On April 19, Daniel, Françoise, Fred, Linda, Néle and Scott opened the doors of their studios to receive the local community. About forty people came to learn about what the Fellows had accomplished during their residency session. – in Music, the Nigerian songwriter and performer, VERONNY ODILI. The novelist TENDAI HUCHU, born in Zimbabwe and living in Scotland, is at Sacatar through a partnership with Africa Centre, in Cape Town, South Africa. The Brazilian visual artist NERIZE PORTELA, from the state of Minas Gerais, is the recipient of the Residency Prize awarded through the Bienal do Recôncavo, sponsored by the Fundação Dannemann in Cachoeira, Bahia, Brazil. The remaining artist in residence is returning Fellow DANIEL GWIRTZMAN, from New York, USA. Ten years ago, Daniel created an ambitious evening length work, Renascimento, that included professional and amateur dancers, from young children to the elderly. One of the highlights of this work was a touching pas-de-deux, in which Danny danced with a nine-year-old boy Silas. After the performance, Silas said, “It was great to work with a professional like Danny. I am not a professional, but I am going to be one.” Now ten years have passed and Danny has reconnected to Silas. Remarkable for an island boy (unfortunately), Silas is now nineteen and studying communications at a university in Salvador. Danny and Silas plan to collaborate again, on something, they don’t know quite what. If you want to read about Daniel’s impressions about his first residency session at Sacatar, go to the ALUMNI pages and click on his name. 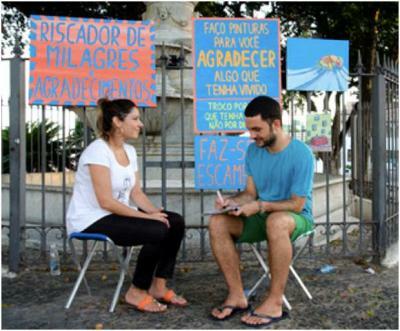 For the third and fourth time, the Sacatar Fellows had the opportunity to present their work and aspirations for their residency sessions to the artist community in Salvador through the informal artist network known as VISIO and with the enthusiastic support of the Museu de Arte Moderna da Bahia. 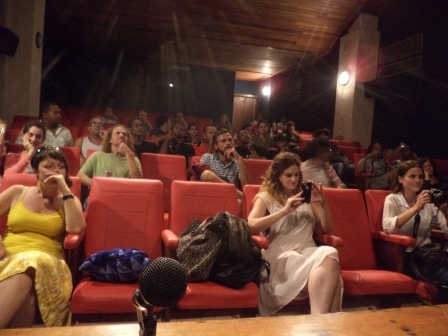 Held in the auditorium of the museum on February 28 and May 6, the VISIO presentations have facilitated collaborations between the incoming Sacatar Fellows and interested local artists based in Salvador. The most recent presentation drew a large public (photo above) in spite of the inclement weather and an unexpected bus strike. In addition to the usual brief presentation of portfolios, interests and goals for the residency, Danny Gwirtzman performed an excerpt from his choreography Encore and Veronny Odili sang one of her compositions. We want to thank Eneida Sanches, a board member of the Instituto, and Andrea May, the director of the Atelier Coletivo VISIO for their support in the coordination of these presentations and we are happy to confirm the ongoing interest of the Museu de Arte Moderna to host the fifth presentation which will be scheduled during the first week of the next residency session. 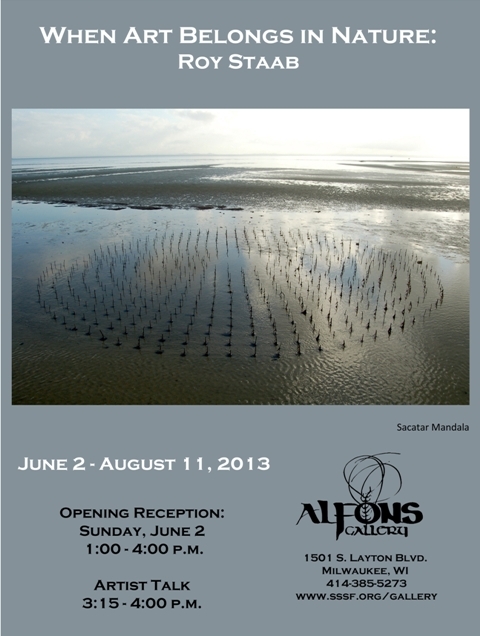 The exhibition runs from June 22 through July 20, 2013. Similarly, from a field of nominees of South American artists, the Rockefeller Foundation has awarded a fellowship to Bellagio, its international artists’ residency program, to MARCOS ZACARIADES (Brazil, the 2007 Sacatar Fellow to the Taipei Artist Village). Marcos will travel to Italy in September. AMY ‘CATFOX’ CAMPION (USA, 2012) and Antics, her dance company of extraordinarily talented breakdancers, performed an evening-length dance theater piece, Illuminated Manuscript, choreographed by Amy and based on the myth of Gilgamesh. The performance took place at the John Anson Ford Theater in Los Angeles, California, USA, on June 7. As an unexpected special treat, prior to the performance, Amy screened her new video work, Street Dance Orixás, which she filmed during her residency last year. The 15-minute film has a mesmerizing soundtrack by ERNESTO DIAZ (Mexico, 2012) whom Amy met during her Sacatar residency. Sacatar founder Taylor Van Horne and former Fellow LINDA YUDIN (USA, 2012) were both in attendance at the performance. 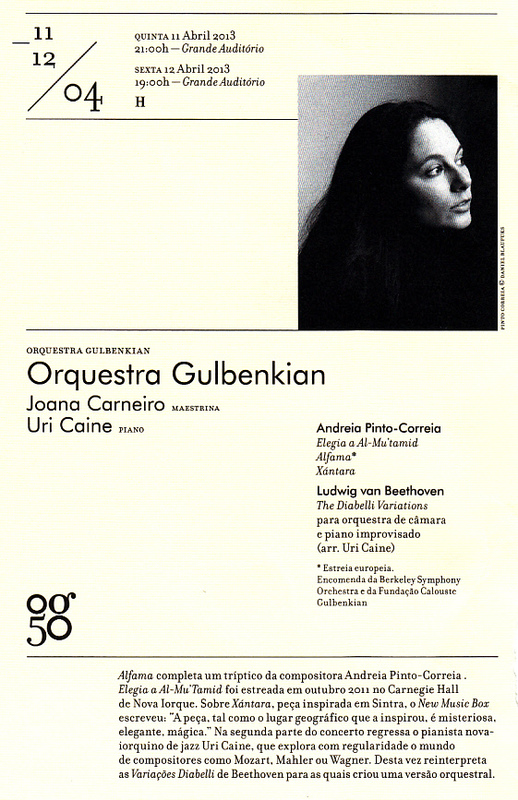 ANDREIA PINTO-CORREIA (Portugal, 2006) had three of her compositions — Elegia a al-Mu’tamid, Xántara and the European premiere of Alfama — performed by the Orquestra Gulbenkian under the direction of Joana Carneiro, on April 11 and 12, 2013, in the auditorium of the Gulbenkian Foundation in Lisbon, Portugal. DEREK BERMEL (USA, 2007) was present at one of the concerts. Earlier this year, Mitch Loch, president of the Sacatar Foundation, was in Lisbon for a series of meetings and was impressed that directors of several institutions were already familiar with Sacatar through Andreia Pinto-Correia’s experiences there. CLAUDIA JOSKOWICZ (Bolívia, 2012) has her first solo exhibition at the LMAK Projects in New York through 23 June. Intesections is comprised of large installations of video and photography associated with her project, Every Building on Avenida Alfonso Ugarte – After Ruscha. 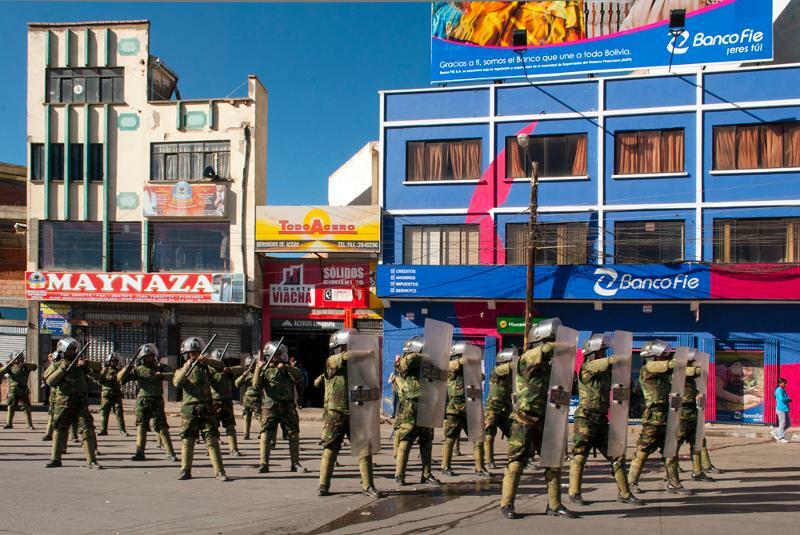 The work explores the urban landscape of El Alto in her native country of Bolivia, at the crossroads of daily life and specific historic events that resonate in the collective consciousness of the Bolivian people. DANY LERICHE et JEAN-MICHEL FICKINGER (France, 2009) recently returned from a residency in the former French embassy in Fez, where they exhibit photos taken at the Festival of Black Divinities in Togo. 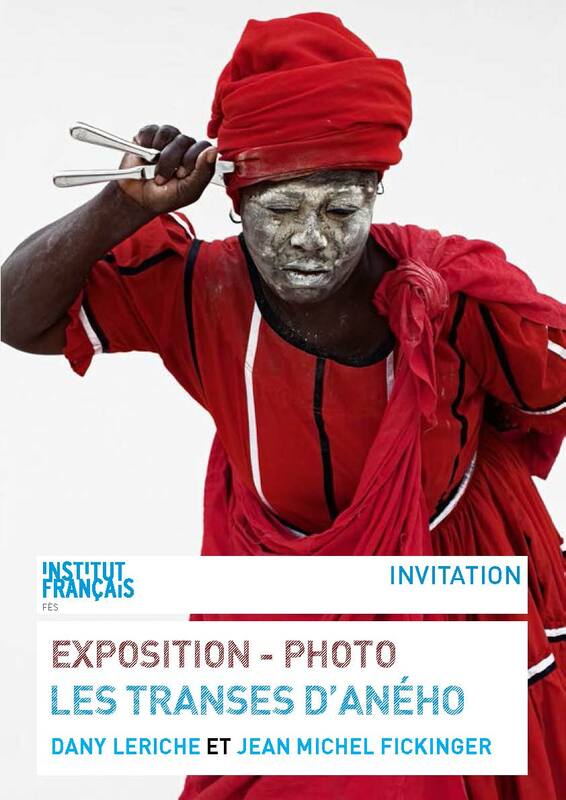 Called Les Transes d’Aného, this exhibit at the Institut Français in Fez, Morocco, runs through 17 June. EDUARDO KAC (Brazil>USA, 2002) has several exhibitions running concurrently, includingAromapoetry & Lagoglyphs at the Black Box Gallery in Copenhagen, from May 18 through June 14, and (Landscape) With Flowers at the Galerie IG Bildende Kunst in Vienna, from May 28 to July 12. (Landscape) With Flowers explores the history of artists working with plants. Curated by Hannah Stippl, the exhibition includes Kac’s Seed Packs, sculptures that contain Edunia seeds and notes about the plant’s blooming cycle. FELIPE GÓES (Brasil, 2012) has recently received two grants to develop work he initiated during his residency at Sacatar. One is a landscape intervention commissioned by the Casa da Ribeira in Natal, Brazil. The other is a collaborative exchange of Brazilian and German artists to be presented in Kassel, Germany. GERALD CYRUS (USA, 2002 e 2011) will have his work shown in the group exhibition A Gathering of Images between 7 June and 10 August at the Leica Gallery, New York, USA. GIOVANA DANTAS (Brazil, 2007 and 2010): The video-installation that Giovana developed during her last Sacatar residency, Insustentável Leveza, has been selected to be exhibited in São Paulo and Pernambuco, at two of the highly coveted galleries administered by the Caixa Cultural. Giovana worked with the American writer JAMIE DIAMOND (USA, 2010) who participated in the filming, as seen in the still image used in the above invitation. J MICHAEL WALKER (USA, 2011) is pleased to announce that the University of California / Los Angeles has purchased his original color pencil drawing, City in Mind: A Lyrical Map of the Concept of Los Angeles, for its Special Collections and will install it in the Powell Library on the UCLA campus later this year. J Michael created this illustrated map for Libros Schmibros’ pop-up exhibit at the Hammer Museum in 2011, which is where Susan Anderson, Curator for UCLA’s Special Collections, became interested in its acquisition. City in Mind is being digitized to act as a portal for the Library’s collection of authors’ papers and a curriculum is being developed around the map by Kelly E. Miller, the Head of the Library. City in Mind: A Lyrical Map of the Concept of Los Angeles measures 60″ high by 276″ wide; and was drawn in color pencil on polypropylene paper in 2011. 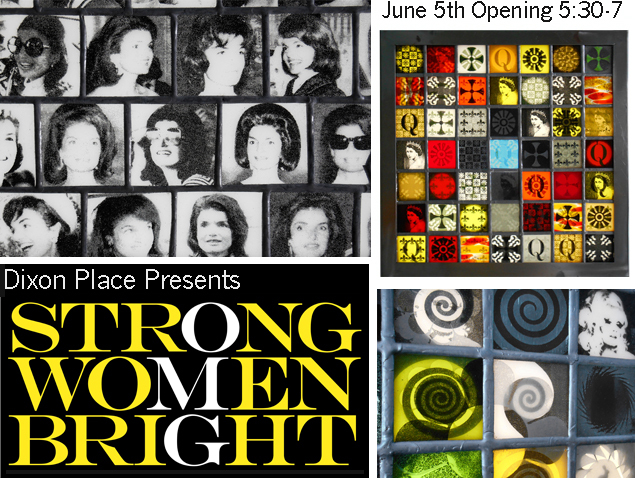 JOSEPH CAVALIERI (USA, 2011) presents a new series of work, silk-screened onto stained glass, in an individual exhibition called Strong Women Bright, held at Dixon Place, New York, USA, between 5 and 22 June 2013. These works honor women who Joseph admires for their strength, from Queen Elizabeth II to Jackie O., including Maude (the actress Bea Arthur) and the drag queen Lady Bunny. http://www.dixonplace.org/html/gallery.html KITSO LELLIOTT (Botswana, 2012) will show her work Transatlantic Saudades in Johannesburg, South Africa, in October 2013. Transatlantic Saudades, which is more of an installation than Kitso’s previous work in film, is inspired by and incorporates a poem of the same name written by the Sacatar Fellow MAJA KLARIC (Croatia, 2012) who was a concurrent Sacatar Fellow during Kitso’s residency. 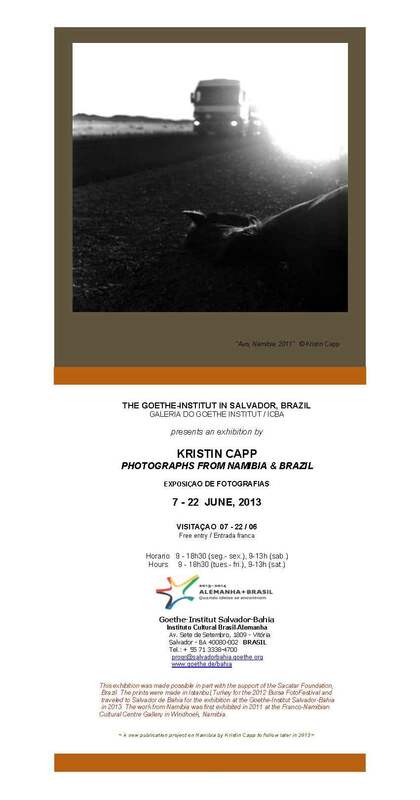 KRISTIN CAPP (USA, 2004) currently has an exhibition of her work at the Institut Goethe in Salvador, Bahia, in partnership with the Instituto Sacatar. The exhibition features work done during her Sacatar residency as well as work done elsewhere in Brazil and in her current home of Namibia, the former German colony in Africa. The exhibition runs from 6 to 22 June 2013. MUTHUKRISNAN RAMALINGAM (India, 2004): traveled to Delhi, India, where he received the National Award for the Empowerment of Persons with Disabilities from the president of India on 6 February 2013 at Vigyan Bhavan, New Delhi. Ram, a painter, was born deaf. ROY STAAB (USA, 2006) exhibits When Art Belongs in Nature from 2 June to 11 August at the Alfons Gallery in Milwaukee, Wisconsin, USA. The photograph used on the invitation is of his work Sacatar Mandala, which he created during his residency in Bahia. STACEY STEERS (USA, 2006): Her installation and film Night Hunter, which she initiated during her residency at Sacatar, continues to travel around the United States. The film and installation can currently be viewed at the Virginia Museum of Contemporary Art in Virginia Beach, Virginia, from May 30 through August 18, 2013. Augusto Sérgio Albuquerque Soares, the Administrative Manager at the Instituto Sacatar since 2004, shares here his history with the residency program and his ideas and dreams for its future, in an interview conducted by Alex Esquivel. 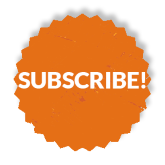 Alex Esquivel: Why did you, a lawyer by profession, take this position with Sacatar? Augusto Albuquerque: The chance to change my way of life was very seductive. The idea of living on the island of Itaparica and working with creative, intelligent people encouraged me to ‘migrate’ to this new career. In fact, as a result of a competition I had entered prior to taking the position at Sacatar, I was offered a job to work as a lawyer for the police. I turned the job down. I preferred to stay with Sacatar and I think I made the right decision. AE: You have been a part of the Sacatar team for ten years now. 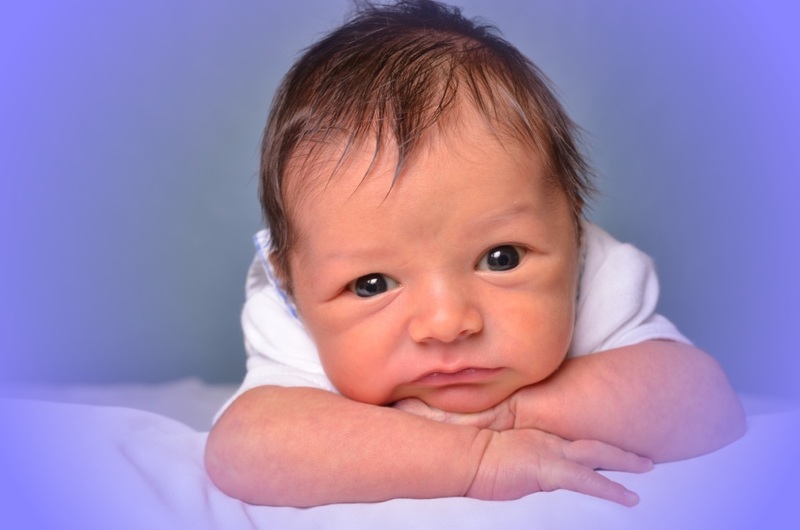 Do you remember your first contact with the property and the residency program? What was your first impression of Sacatar? AA: My first experience at Sacatar was in June 2002 when I came for an interview. I was very impressed. The place was stunning. My first contact with the artists came in January 2003, when I effectively began work at the Instituto. AE: Certainly a lot has changed since you arrived. What are the most significant changes you have seen? AA: I would say that the new constructions built in the last ten years have greatly improved the property (ed. : These include a staff support building in 2003, an administrative office, a writer’s studio, two visual arts studios and a wood shop in 2005, and a composer’s studio and dance studio in 2010). These additions have brought a higher level of comfort and better working conditions for the artists. After all, today we have five studios specifically built for the residents, with characteristics appropriate for different artistic disciplines. AE: And regarding the artists in residence, is there anything in particular that you find most memorable? AA: I’m not going to speak of an individual Fellow, but of a performance by the composer RAHUL ANAND (Bangladesh, 2008), which he did in the ‘Reserva dos Milagres’ based on the story of Wenceslau Monteiro (ed: Wenceslau Monteiro was a local blind man who became a revered local ‘saint’ after he reputedly recovered his eyesight at a miraculous spring. He lived by the spring, offering healing and spiritual advice to the local populace, until his death. The miraculous spring is today the centerpiece of an ecological reserve.) Rahul’s performance was very beautiful, so very special that it is hard to describe. But those who were there that night remember the force and breadth of that work, presented on the night of a full moon in the middle of a protected tract of the Brazilian Atlantic Forest. AE: Do you consider this piece by Rahul Anand an example of a successful project by a resident artist, working within the limitations imposed by the brevity of a Sacatar residency and the conditions on the island of Itaparica? AA: There is no single example of a successful project. What is so cool about Sacatar is that the artists have the ability to surprise us with the proposals they bring. At times, what we cannot even imagine, an artist realizes with surprisingly good results. Creative energy is the key. AE: How do you evaluate the participation of Brazilians at Sacatar? Do we receive enough national artists? AA: The number of Brazilian artists has increased a great deal, but I think their participation is still not at the level it could be. Brazilian artists are still a bit unaware of international artist residency programs such as Sacatar, but the Brazilians who have come recognize the value and importance that the experience has had on their professional development. AE: We know it is not easy to maintain a residency program in Brazil. Currently, the Sacatar Foundation, a U.S. non-profit corporation, is the primary funder of the activities of the Instituto Sacatar. What do you see in terms of the financial viability of the Instituto Sacatar? Can the Instituto possibly become self-sufficient? AA: Sacatar is an internationally recognized and respected institution, the first such program in Brazil designed exclusively as an artist residency. Given its unique history and character, I would like to see the local corporate philanthropists value what we do more highly. They could certainly provide more support for the unique services rendered by the Instituto. But unfortunately, the majority of the corporate leaders continue to discredit Salvador, not recognizing it as the third largest city in Brazil, as if there were insufficient funds or fiscal incentives to adopt a more pro-active stance to stimulate the cultural productivity in the state. Our relationship with the state government has deepened, but the government could do more to stimulate corporate support for cultural activities such as those that we undertake at Sacatar. AE: And how do you see the current relationship between the Instituto Sacatar, as a Brazilian non-profit foundation, and the local government of Itaparica? How involved or supportive of the activities of Sacatar is the local mayoral office? AE: Lastly, how do you see the future of Sacatar? What would you like to see Sacatar achieve and what part would you like to play? AA: We need to develop new partnerships because it is through these partnerships that we guarantee the continuity of the program. I also believe that we have to be attentive to the Requests for Proposals open to non-profits and to submit applications in conformance with the governmental guidelines. I believe that the residency program at Sacatar will continue to be a reference within Brazil and within the universe of international residency programs. As for the future, I don’t know if next week I’ll still be alive, but as long as I am, I hope to continue to contribute to the ongoing activities that will become the history of Sacatar.